Start your restaurant services career in just three weeks. Are you interested in food service, but don’t have any experience? Generation’s Restaurant Services Associate program prepares you for roles like servers, cashiers, and runners. 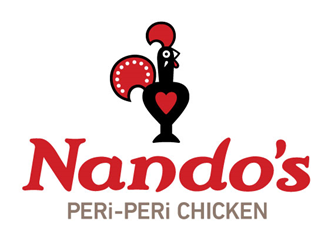 At the end of the program, graduates are guaranteed a job at Nando’s Peri-Peri, an international fast-casual restaurant group that runs more than 1,200 restaurants in 24 countries. Apply online for the Restaurant Services Associate program. Get excited! We'll help you on your career journey. Generation will contact you within 1-2 days of receiving your application. Our team wants to support you and connect you to resources that will help you focus on learning. We will use this time to learn about your living situation, background, and child care needs. We'll also go over the program requirements, times, and dates of class. Meet the instructor, program manager, and mentor. You'll receive the program handbook and fill out enrollment forms. The Generation team will help you understand what will happen over the course of the program and you'll participate in fun icebreakers! The Generation team looks forward to hearing from you. What is a Restaurant Services Associate? Also called the front of house team, restaurant services associates are the staff members who work directly with restaurant customers. These employees process food orders and payments, deliver food to tables, and can solve a customer problem in a flash. Generation and Nando’s Restaurant launch new program in D.C.